if you want to get the detailed S curve report and histogram , you have to export it into excel. It is done with a few clicks using Report Wizard. 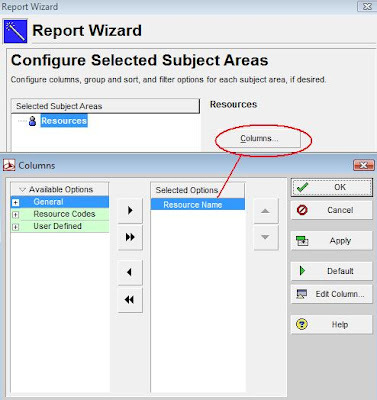 Report Wizard helps you save your time by creating resource allocation reports for each type of histogram/s curve. Go to Tools > Report, when you at there, you will see All Reports layout showing all the reports. Look for Report Group: Resource Usage to organize to the newly added report to group in resource usage group so that you can find this report easily when you need. Right click > Add > New Report > Next > Select the “Resources” in the Subject Area box > Select Time Distributed Data check box to see the project data over time frame and click Next . 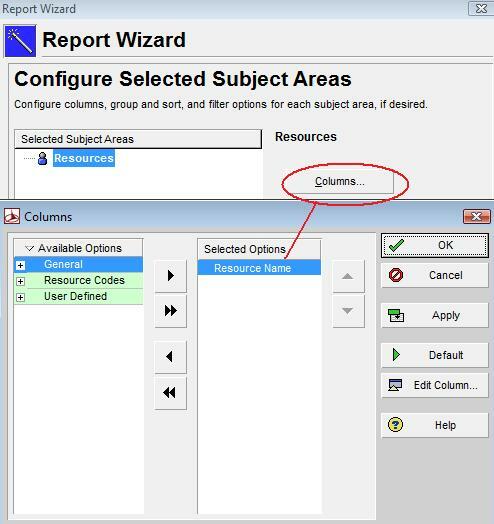 To configure selected subject areas for the required data, select the Resource Name in the columns box, Add filter for current project’s resource as shown in figure below. If you intend to review a resource graph that also shows material supply and non labour (i.e Cranes, Trucks, etc ) resources over time, include them in the above resource filter. Then, you will be able to review how many manpower or equipments will be required to erect tons of steel structure, various feet of pipes per each day or each week. Unlike the Resource Usage Profile in the activity view in P6 , all resource can be displayed in a single bar chart using a clustered or a stacked histogram by exporting P6 data to excel spreadsheet. You will find Timescale tag and Time Interval Fields tag in the Date Options window upon completion of step 5. Select Show Time Intervals and Show Total check boxes to display project data over period and all time respectively. In Timescale tag, set the time scale start as PS-Earliest Project Start, time scale finish as PF-Latest Project Finish, date intervals as week (select day, month as desired). 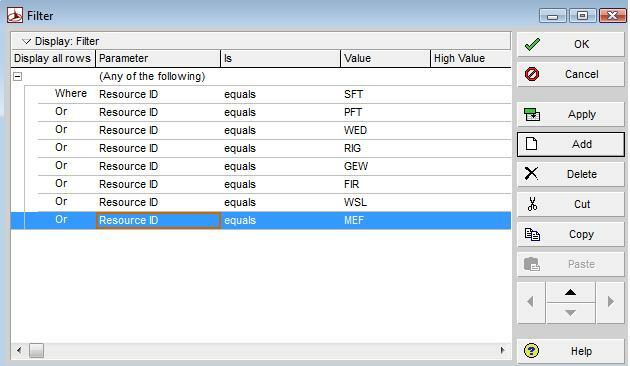 To review manpower loading, select “Calculate Average “ option in Timescale tag to calculate manpower allocation per period. 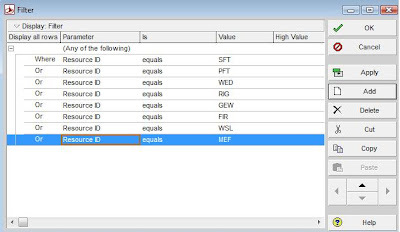 Select Budgeted Unit (to display planned data) and Remaining Early Unit (to produce forecast data) in Time Interval Fields tag. Name the Report Title and click “Next” and save it. 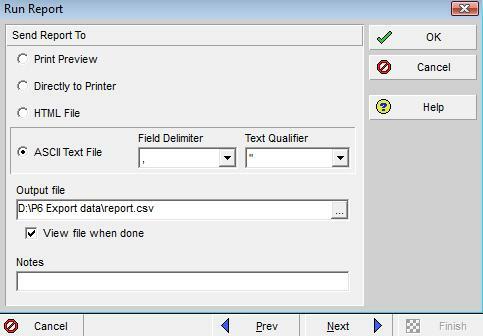 Go to Run report > Select ASCII Text file > Select Field Delimiter and Text Qualifier , and choose the output file location to export P6 data to excel as shown in figure below. Finally, the exported manpower loading data would be looks like this. Planned and forecast data are the same in this post as project hasn’t been scheduled. Now, you can produce the desired resource histogram chart in excel. You can also export P6 data to make progress S curve using this method. Create the new report by following all the steps in "Step to create time based histogram and S-curve". Leave “Calculate Average” check box as blank (i.e. do not select it). As a result you will get resource hours data. Actual progress data would be produced when the actual works are begun. To display actual progress data, add Actual Units to Time Interval Fields tag. Run the report using step -3 in "Review Resource Loading " and export it to excel. The exported data is man hour unit. Calculate the periodic progress from the periodic hours divided by total project hours. Once progress calculation is done in excel, insert S curve chart to view the progress curve. The related posts that you might be interested in are How to Get Resource Loading Histogram/S Curve in Primavera P6 (Shows how resource allocation chart/S curve are produced in P6), Creating discipline wise manpower histogram using Primavera P6 export data (It will guide you how to develop trade/discipline wise manpower histogram without using Report Wizard), Tutorial-How to generate S curve/histogram from Primavera, P6 - Part I,Tutorial-How to generate S curve/histogram from Primavera, P6 - Part II, Tutorial-How to generate S curve/histogram from Primavera, P6 - Part III (You can learn step by steps guide to develop progress S curve/histogram by using excel data from P6 ). Can you kindly add a thread on how to import and export data from excel to p6 in particular the activities, resources etc? I have been reading your blog this afternoon. It is very interesting, but i wonder if you have any information about cost control, specially using P6. In other hand, I have discovered your blog looking for information about schedule templates for LNG plants and schedule templates for combibed cycle plants. So, do you know where i can find informationa about it? I can't find anywhere in the Report settings where i can change the date format.